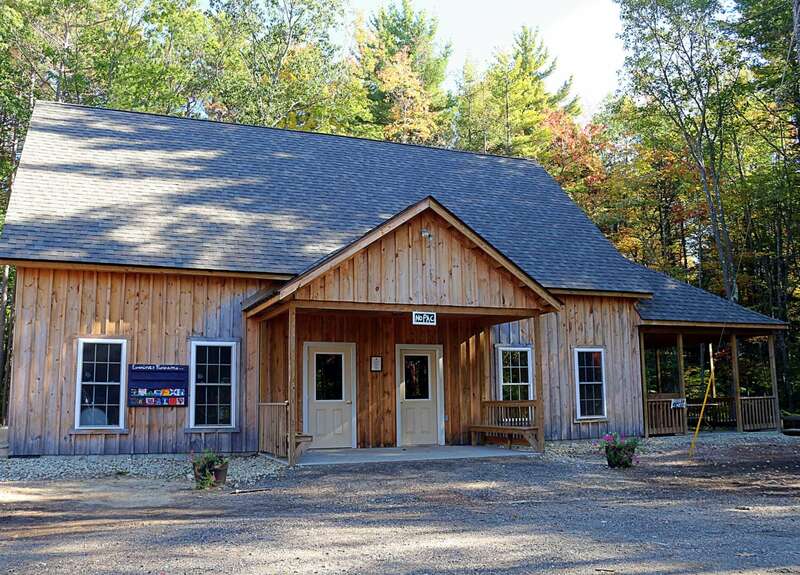 Takodah is home to four main event spaces and an outdoor chapel overlooking Cass Pond. While our Craig Dining Hall is the most utilized event space, each has its own unique charm and can serve different functions for your event. 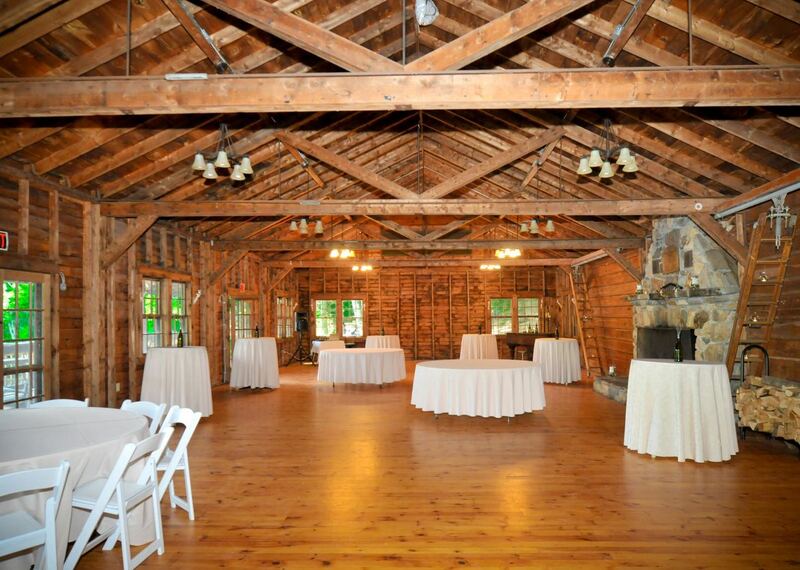 With its vaulted ceilings, exposed wooden beams, and abundance of natural light our dining hall is the perfect blank canvas for any gathering, celebration, or retreat. The Craig Dining Hall is outfitted with 6′ round tables and chairs that provide seating for up to 300 guests. Tables and chairs can be rearranged however necessary for your event, or folded up and stacked out of the way to give you a large open space. 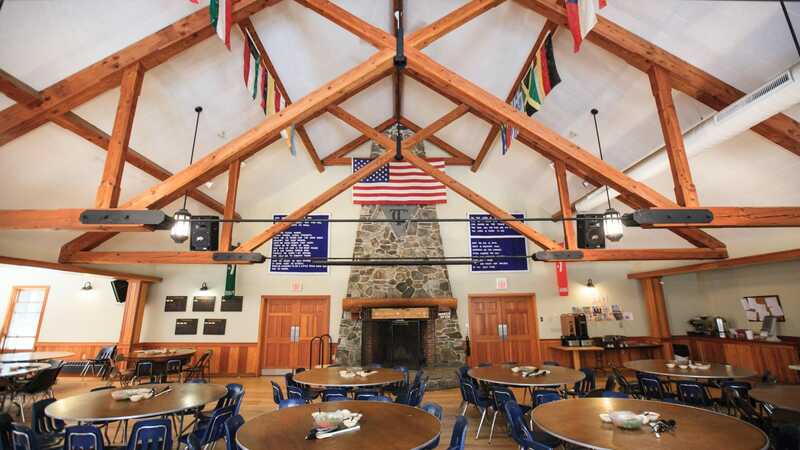 The dining hall is heated during the winter and is centered around a beautiful stone fireplace, that can be used year-round. 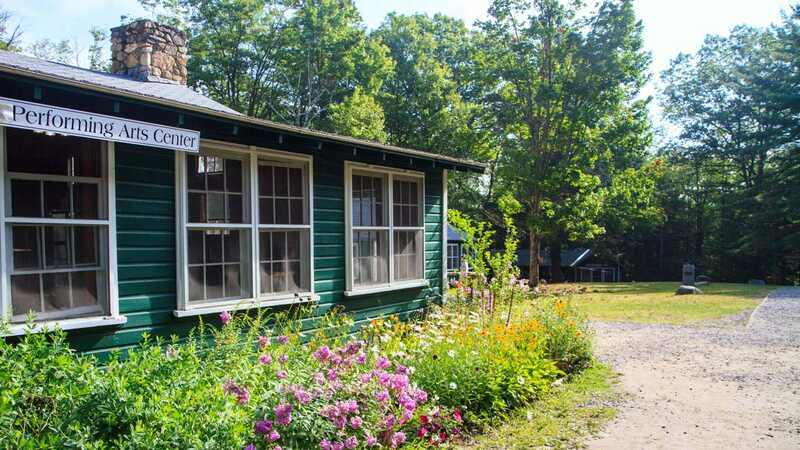 Equipped with WIFI, projector screen, and stereo system, our dining hall mixes camp charm with functionality. In addition to the floor space inside the dining hall, our centennial terrace provides ample room for functions outside and our commercial kitchen is every chef’s dream. Overlooking Cass Pond, Memorial Lodge provides a perfect venue for a cocktail hour, large group gathering, ceremony, or quiet reflection. The open floor plan, polished wood floors, and stone hearth create an intimate gathering space. Folding chairs are available and able to be used in any configuration, or take a step aside and sit on one our wicker arm chairs on the wrap around porch. Located centrally in our South Camp, the performing art center features an open floor-plan, small stage, and stone fireplace. In the back of TPAC there are two smaller gathering areas that can be used as breakaway spaces. TPAC is wired for sound and folding chairs and tables can be used to create any kind of atmosphere. Located in our smaller North Camp, the northern performing art center has a stage area, speakers, folding chairs and tables, covered back patio, and front patio with a grill. A beautiful two story wooden building, with an upstairs meeting room, NOPAC can be used as planned meeting space or a rainy day location. 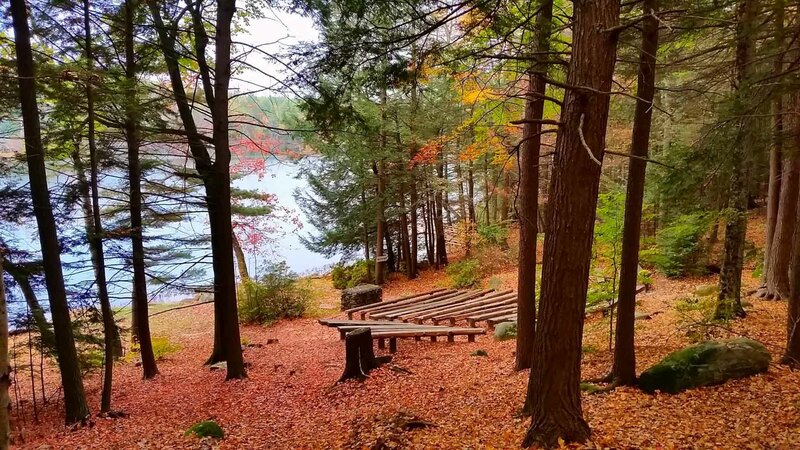 Nestled in the trees, with a stunning view of Cass Pond, our non-denominational chapel boasts wooden benches built into the hillside that can seat up to 250 people. Whether you are looking for a place to hold your wedding ceremony, or simply a quiet place of reflection, you will not be disappointed.